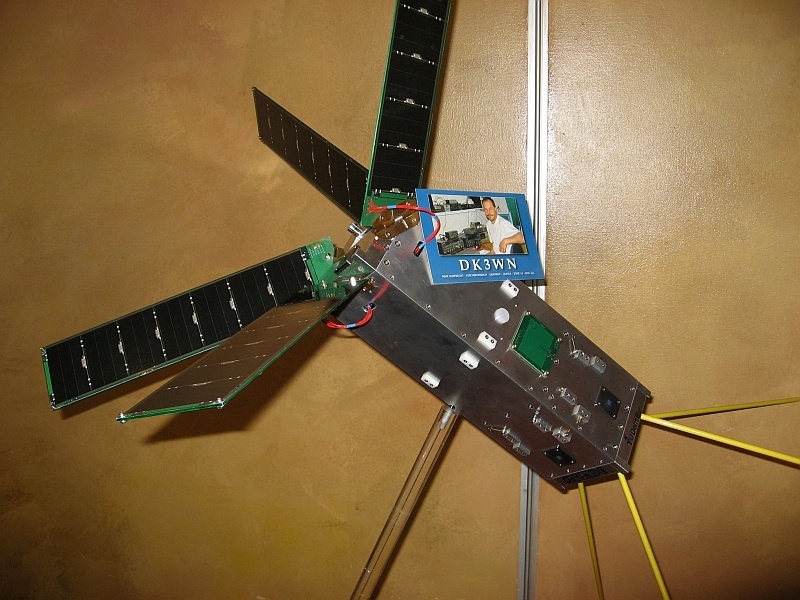 The Delfi-n3Xt is a nanosatellite project of Delft University of Technology (TU Delft) and successor to the succesful Delfi-C3 mission. The objectives are hands-on education on a real space project, technology demonstration and advancement of a nanosatellite bus. A large participation of between 50 and 80 students in total, in the scope of their thesis and/or internship, is anticipated. Although it has the same outer dimensions as Delfi-C3, the spacecraft bus will be advanced with three-axis attitude control, energy storage for eclipse operation, a high speed data downlink and better overall performance on all other subsystems. It also comprises (at least five) innovative technologies from the the Dutch space sector for technology demonstration: a multifunctional particle spectrometer, a micro­pro­pulsion system, an improved communications platform, micro sun sensors, amorphous silicon solar cells and a radiation tollerant implementation for low-cost flash data storage. 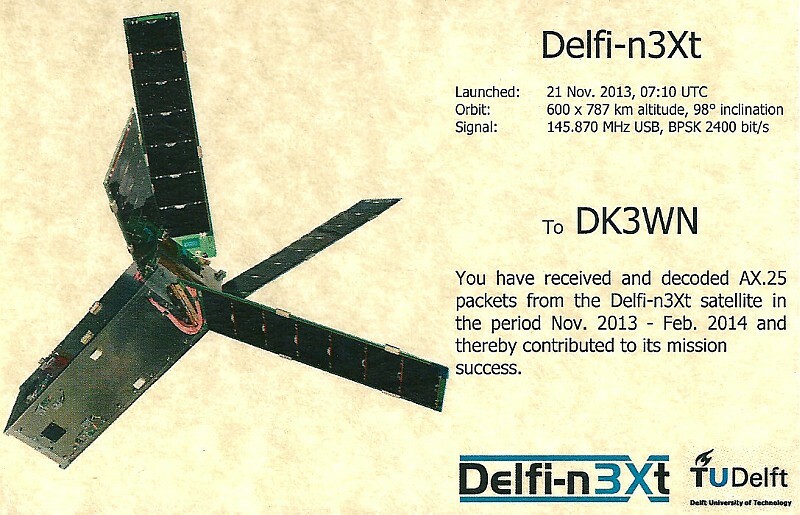 Unfortunately, we have not heard anything from Delfi-n3Xt since Thursday 20/02 after our transponder test. During the transponder test we could hear our side beacon at 145.870 MHz and we were still able to switch back to normal transmission an back to transponder again (and also received the beacon the second time). Nothing seemed to be wrong, except for the transponder itself not properly working. The satellite was supposed to return to nominal operations in the next orbit. We think that a hardware failure occurred either at the second half of the transponder orbit or during the mode switch. Since Friday we have made many attempts to revive the satellite. Since we have an independent radio, there was (and still is some) hope to get the satellite back in transmission. There are however a few points were common mode failures could occur: the phasing circuitry which connects both transmitters and an I2C buffer at the main bus side. We do however still have some hope that only one radio has failed and that we might still be able to command the satellite to use the other. Since all trivial command schemes did not work, next week we will only focus on a specific test to turn the transmitter on for a brief moment. During the weekend we saw some narrow band signal at 10 kHz below 145.870 MHz (+/- Doppler), which might potentially be related to the local oscillator. If we can reconstruct this a few times and clearly correlate this to Delfi-n3Xt (we do have a lot of intermitting noises sources in the neighbourhood) we at least know the the OBC and one radio is still working and we can commence to next steps. We appreciate everyone’s help to listen to Delfi-n3Xt to see if there is still some signal left. I think the best changes (besides Delft passes in which we try to command) are when the satellite comes just out of eclipse and is supposed to startup one of the transmitters. Please note that it has become very crowded with CubeSats lately, so any signals which are off in frequency (except for the -10 kHz tone), have a very different bandwidth and/or Doppler shift are very likely to be other satellites in the neighbourhood. Today we had for instance Delfi-C3 almost perfectly aligned sending at the same frequency. Delfi-n3Xt will only transmit at about 145.870 MHz. I the situation changes, I will provide you with an update.